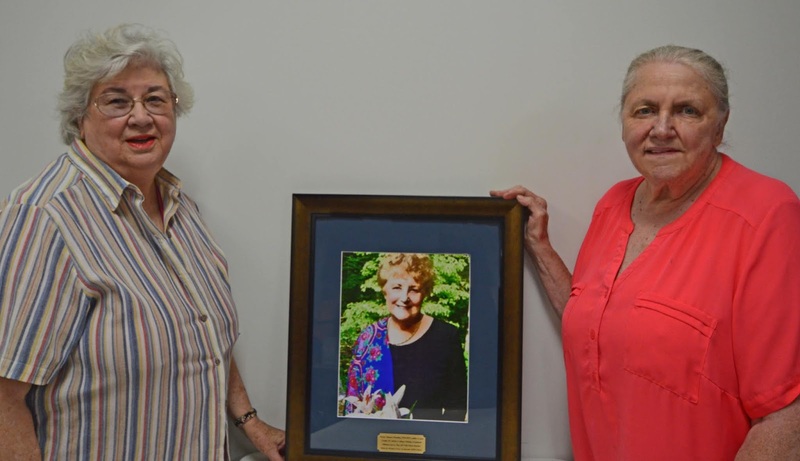 On Tuesday, August 7, 2018, the Moss Memorial Library received a photo of late poet, Nancy Simpson Brantley, given from the North Carolina Writers’ Network (NCWN), in Simpson Brantley’s, honor for her many achievements, most of which were in Western NC. Librarian Mary Fonda received the photo from North Carolina Writers’ Network-West’s (NCWN-West) Program Director, Glenda Council Beall. Simpson Brantley's work was written under her maiden name, Nancy Simpson. Nancy Simpson Brantley was a poet, teacher, and mother of three children. She taught in Clay County Schools for 28 years, in the Exceptional Children’s programs. She received a Master’s in Fine Arts from Warren Wilson College, and a Bachelor of Arts in Education from Western Carolina University. A member of the NCWN, Simpson Brantley served on its executive board, and in 1991 co-founded the NCWN-West, a program of NCWN, to serve writers in the remote NC mountains. 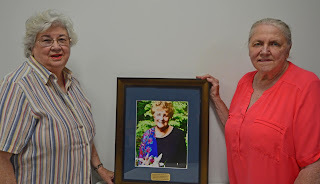 She was NCWN-West’s Program Director for over 21 years. She taught writing at Tri-County Community College, Murphy, NC, The Institute for Continuing Learning at Young Harris College, Georgia, at John C. Campbell Folk School (JCCFS), Brasstown, NC, and was Resident Artist for Writing at JCCFS 1998-2010. Simpson Brantley’s poems were widely published in Literary Journals, and she had three published books: Living Above The Frostline, New and Selected Poems, Night Student, and Across Water. Simpson Brantley won first place for her poem, “Night Student,” at the Callanwolde Fine Arts Center in Atlanta, GA, in 1978, received the NC Arts Council Writing Fellowship for Poetry in 1991, and a Distinguished Alumni Award from Tri-County Community College in 1998. She was named a SIBA Poetry Award Finalist in 2011. Simpson Brantley co-edited Lights in the Mountains and edited Echoes Across the Blue Ridge, both anthologies with Western NC writers. Simpson Brantley has been included in several editions of Who's Who in America, Who's Who in American Education, Who's Who in the South and Southwest, and Who's Who of American Women. In 2018, she was given the Albert Nelson Marquis Lifetime Achievement Award from Marquis Who’s Who. Thank you, Joan Gage, for creating this lovely portrait of Nancy. She meant so much to so many in western NC and her poetry is know nationally. It is good that our wonderful library will hang her portrait for all of us to see and admire. You will not see your comment immediately. All messages will be moderated before being published. This is to keep down Spam. We want to hear what you think, so please leave a comment.